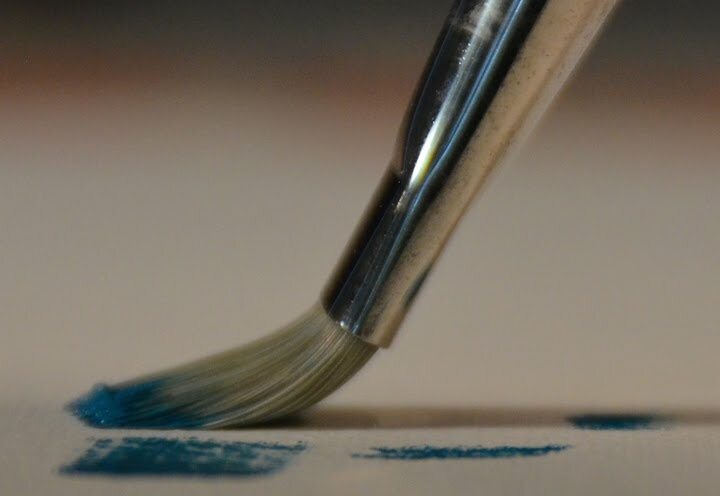 Inspired by my students, and in response to so many questions, let’s take a look at brushwork basics necessary for most expressions in paint. 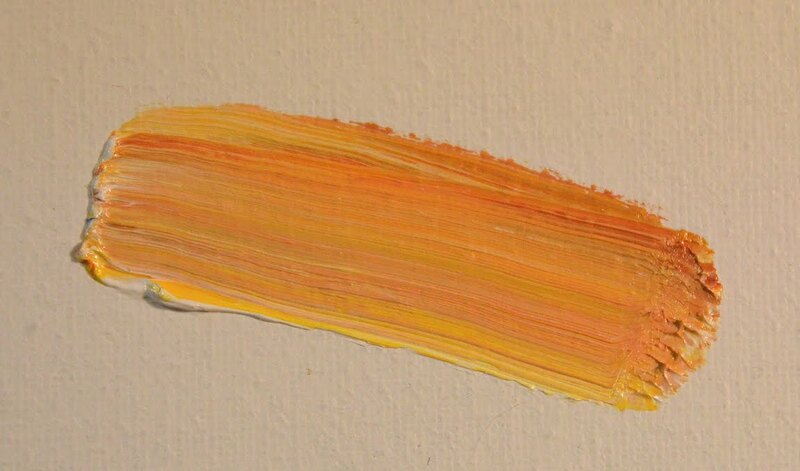 I use mostly brights, so I'll focus comments toward that very versatile brush shape. When it comes to painting, however, especially in the beginning when one first takes on the idea of attempting to paint, most people think of using the brush as an expression of their innermost creative genius. 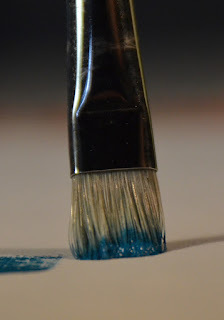 That somehow taking up the brush automatically empowers the potential painter with a license of complete and utter control of pigment. Pigment hanging out all over the brush will eventually get onto the surface, usually where you don't want it. 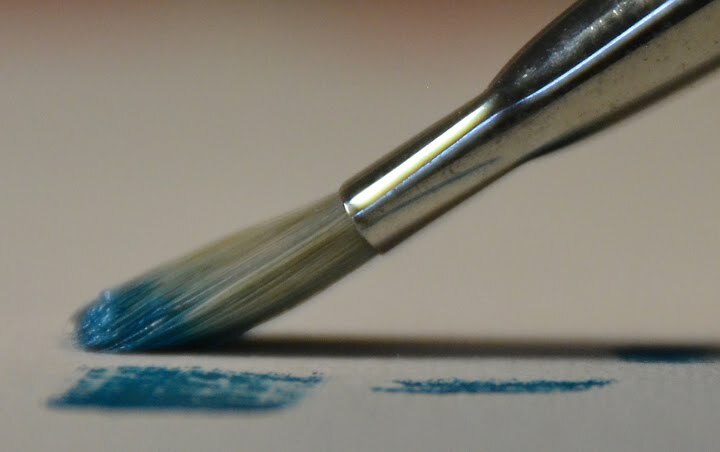 Keep your brush clean for the most part. 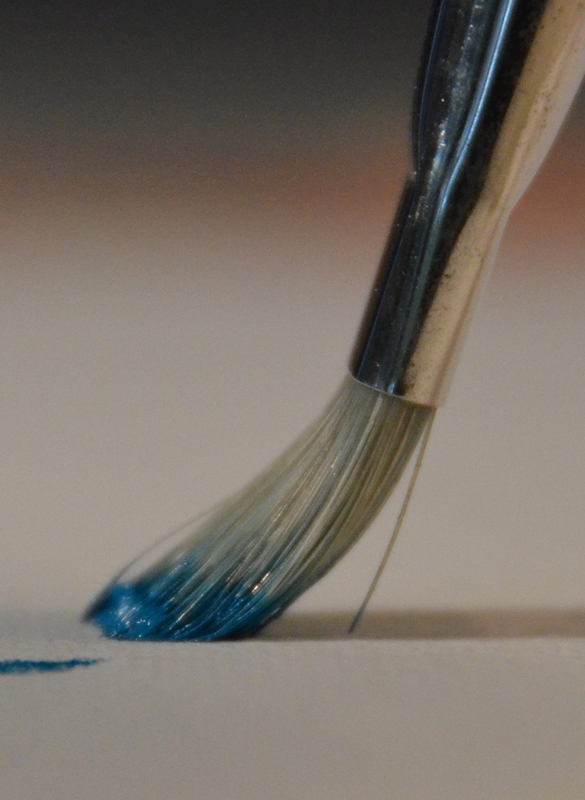 Think: you wouldn’t use a #12 brush to paint the early stage of a 10’ mural. It's too small. 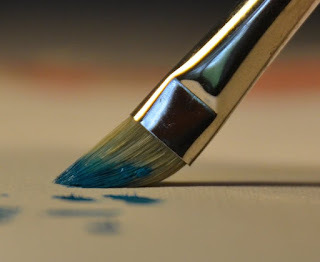 You’d use a much wider brush. Then as you get more focused and detailed you change the size of the brush to fit the subject. 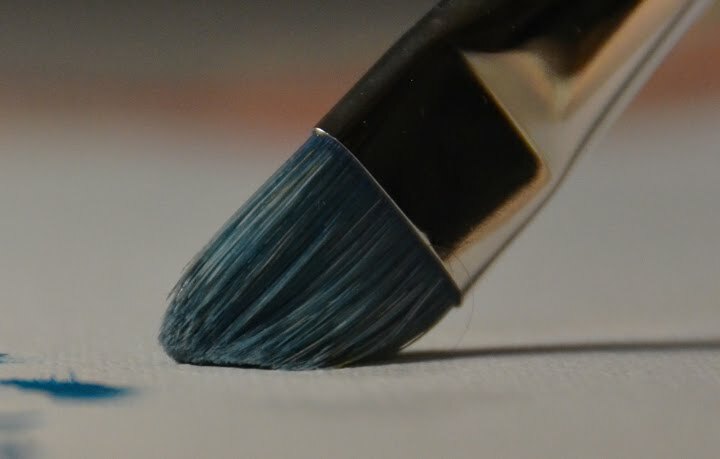 It's the same approach for much smaller works. 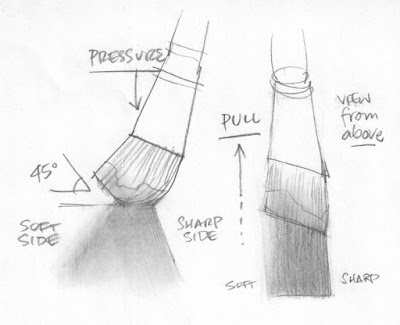 Pick the brush sizes to fit the appropriate strokes needed for the painting at hand.